Violca Grey knows life can change instantly. Two years after her parents' sudden death, Violca is left raising her four younger sisters. She doesn't realize that their lives are all in danger from something that may not be human. Together, Chase and Violca not only have to protect their families--they also have to fight against their rising feelings for each other. 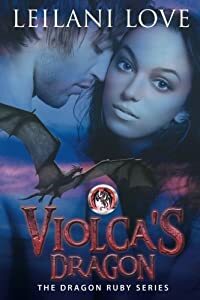 But what Violca doesn't know is that once a dragon decides he wants something, there is no stopping him from getting it. 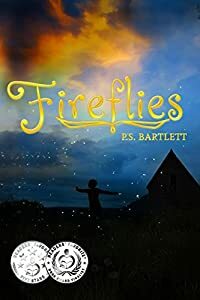 Bittersweet homecomings, confronting haunted wartime memories and secrets that bubble to the surface in the journey back to where it all began for Eva and Zoe. It's 1950 and Eva and Zoe find themselves in Larissa, Greece. The journey home for Zoe to reclaim her inheritance after the Greek Civil War had ended is a bittersweet homecoming. Eva and Zoe have weathered every obstacle that fate has put before them but now they have to find the strength to confront their haunted wartime memories in Greece. 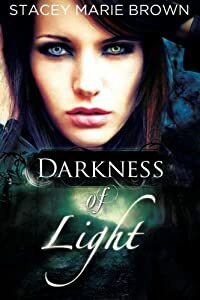 Eva also has to terms with a woman from the past who is a quiet, gentle soul but has an extraordinary paranormal power of visions through time. Faced with a physical reminder of her tortured past, Eva needs all her courage, strength and resilience to confront her harrowing memories and content with the secrets that are bubbling to the surface. Zoe contends with her own soul-shattering memories of helplessness, heart-rendering pain, and loss. They leave Greece with new friends and family. In Germany, they discover that Eva's grandmother -- the matriarch of the Muller clan -- is not a woman to be taken lightly or ignored. Shocking family secrets that have been hidden for generations are revealed. 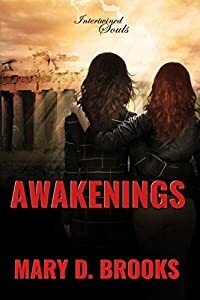 Pick up a copy of Awakenings and follow Eva and Zoe's journey of love, resilience and the strength to face down unredeemable foes in this historical lesbian romance series imbued with urban fantasy and mystery. In 1989 Karl Blaine and his wife Fiona traveled to Nepal to climb Mt. Everest with their college friend Zachary. Only Zachary came back alive. Two decades later, in 2009, a French climbing expedition discovered Karl's frozen remains. Of the five man party who finds Karl, only the Sherpa guide makes it down alive. He brings with him a whooper of a ghost story no one can believe. When a much older Zachary is notified of this discovery it sets off a dangerous chain of events that puts Zachary and Karl and Fiona's son Derrick on a collision course. What did Karl have in his possession when he disappeared? What really happened in 89? Can what the Sherpa guide reported really be true? And one other question . . .
Is Fiona Blaine still entombed at the top of the world? Disclaimer: This book contains dangerous airports, bribery, frozen corpses, trophy wives, gold diggers, ethnic stereotyping, and hotel staff behaving badly. Also workplace infidelity, drug abuse, bad coffee and things that go bump in the night. Any resemblance to actual living persons is accidental, but if the shoe fits . . . .
"A cleverly written page-turner . . . absolutely amazing . . .
Gripping and unexpected . . . fascinating and downright scary"
dangerous . . . engaging from the first chapter"
"Well researched . . . left me breathless . . . highly recommend . . .
"Dead on key . . . In the zone . . . land on this one . . . Americans in tibet"
After being snatched from the street and drugged, Syrinada wakes to find herself strapped to a bed with a predator in the next room. In a moment where she might have shut down and accepted her fate, a defense mechanism she isn't aware she possesses surfaces. Syrinanda struggles to understand the turn that her life has taken. What are these new powers and who can she turn to for guidance? Malachi, a long time friend, knows more about her than he's ever admitted. When he witnesses her tapping into this unknown source of power, he steps in. There is more about him that she doesn’t know, and now is the time to pull off the mask. 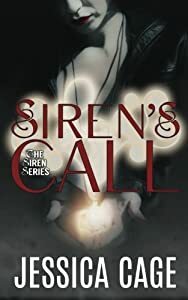 He reveals to her that she is a Siren, but there is much more to her background, darker things, and for that reason she must stay hidden. The call of her newfound heritage is a strong one, and she finds herself incapable of denying her new urges. Now that she has brought attention to herself, they must flee, but how long can you run before your demons catch up with you? The weirdness continues…. Thanks to a “magical transplant” from inter-dimensional enforcer Sebastian Kess, Hailey Parrish can transform into a hawk. 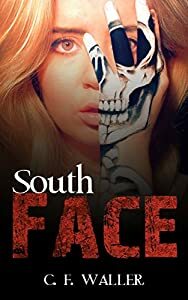 When someone begins dismembering hikers along the Appalachian Trail, Sebastian, and Hailey’s main squeeze Alex Sunderland, make use of her feathery talents to pursue the killer. Unfortunately, like most things in Hailey’s life, there is nothing ordinary about the assignment. 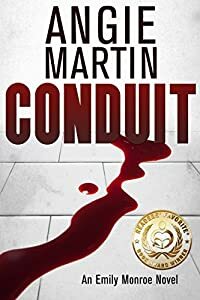 Their target turns out to be maddeningly elusive, they rescue a stray dog that makes a sewage treatment plant seem pleasantly fragrant, and stopping the murders turns out to be the least of their worries. 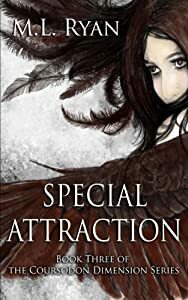 Special Attraction, the third book in the Coursodon Dimension series, combines paranormal romance, urban fantasy, a bit of science fiction and a healthy dose of quirky humor. How do you hide from a killer when he's in your mind? Conduit includes violence against women, graphic violence, and sexual violence. Reader discretion advised. 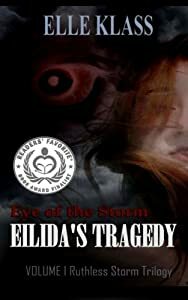 Don't read alone ~ Grab your copy of this award-winning psychological thriller today! Dr. Owen Whelan and his wife Sarah, both Irish immigrants, have been living the American dream, as well as raising seven bright and expressive children. Their youngest Ennis, however, has since birth, been a bit of a mystery. Ennis was always small, meek and frightfully odd but there is so much more to him than anyone could have imagined. His sister Teagan grows increasingly suspicious of his behavior but their mother dismisses her claims, until the day he starts healing people.When Ennis ultimately reveals the gift of sight, he questions his father about visions of his past, including his voyage to America in 1844. Owen prayed he'd never have to share those tragic memories but he will share them, when he realizes he has no choice. Ennis' life may depend on it. 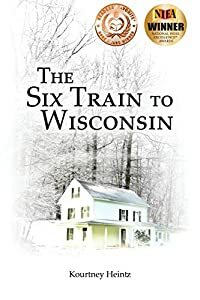 Brief Summary: When Kai's telepathy spirals out of control, her husband Oliver brings her to the quiet Wisconsin hometown he abandoned a decade ago, where he must confront the secrets of his past to save their future.